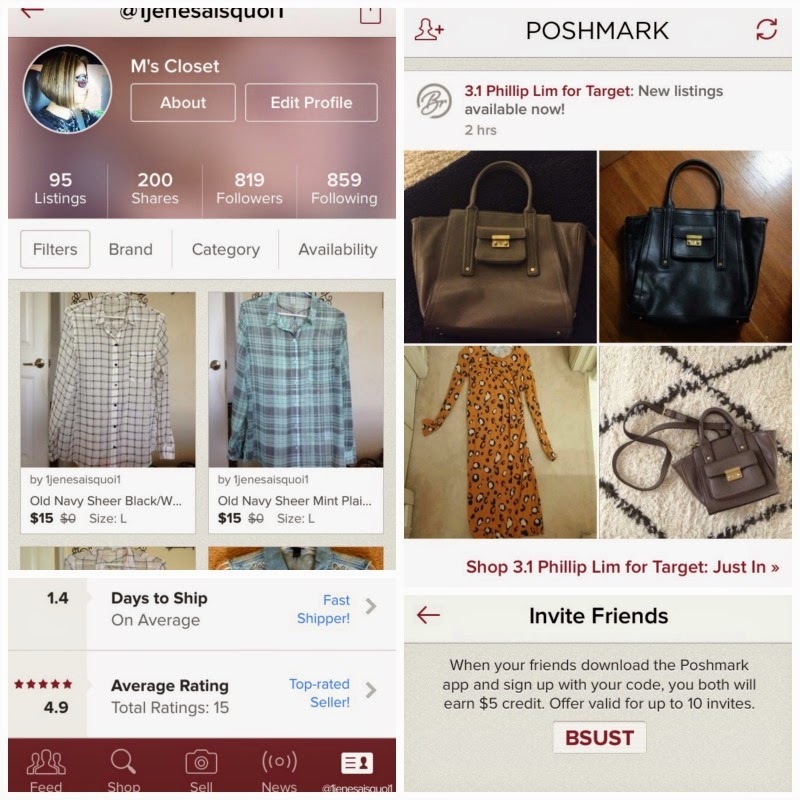 If you haven't heard of Poshmark, it's an app you can download where you can sell and buy women's fashion and accessories. Unfortunately it's only available stateside so far. To read all the FAQ's, details, and rules, you can just head on over to poshmark.com., but here, I will give you the good, the bad, and the ugly reality of Poshmark. First of all, like anything, people will always try to give you lowball offers. No matter what. Even if your item is brand freakin' new, with no wear or tear. They will want it for 10 bucks. Just laugh and decline their offer. Like anything, there are rules and of course people who break them. There are some buyers who "trade" or take payments through paypal which is not technically allowed. Also, you're only supposed to sell women's clothing, shoes and accessories, buy you will see people selling kids clothing, men's clothing, etc. It's not allowed, and if you get caught, you will be supposedly banned from Poshmark. :/ Like I said, it's best to just go read the faq's sheet on the website. I have been an active seller for about a few months now, and I've sold 15 items, and made almost $200.00! This is all from items I don't use anymore, so I highly suggest you get on Poshmark if you have tons of clothing, shoes and accessories you don't use anymore and make some money because it has been surprisingly easy AND fun!